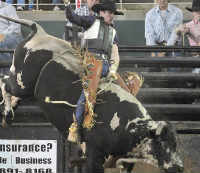 The Fair will feature livestock shows & youth exhibits, live entertainment, carnival rides and more. Read our post for more information on admission fees and more. Fun for the whole family, the annual Osceola County Fair returns to Osceola Heritage Park in Kissimmee, February 10-19, 2017. Enjoy a midway featuring rides, games, and food, along with the Eudora Farms Petting Zoo, live music and entertainment, animals, and so much more. This weekend, I took my family to the Osceola County Fair on Saturday. We choose to go to this fair as it is very reminiscent of the county fair from way back when I was a kid – it’s even the same company that provides the rides. We have gone every year for the past 8 years, but this year we did notice a couple changes. Gone are the bigger roller coaster and the Tilt-a-Whirl. The latter is a disappointment for us, as it’s my daughters favorite. Thankfully, there is a similar ride in its place that both kids had to ride twice. 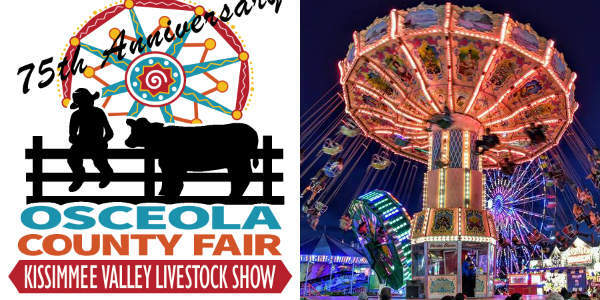 Peace, Love and Osceola County Fair is the theme for the upcoming 2014 Fair which takes place February 14th through 23rd, 2014 at Osceola Heritage Park. 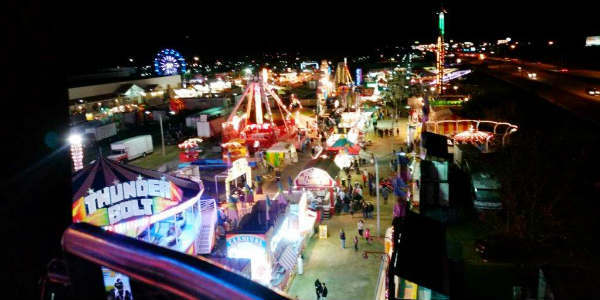 Fair goers will be treated to 70’s style decorations, souvenirs and musical performers bringing back all the favorite music of the 1970’s. There will also be a midway with over 80 rides and games, a pie eating contest, livestock shows, and a truck and tractor pull. The hard-hitting fast-paced Demolition Derby returns on Friday, February 14 at 7:00pm. This popular event is only $5.00 per person in addition to regular fair admission. Looking for something fun to do this weekend? 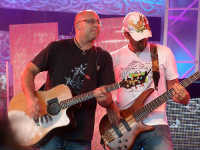 Here’s a round-up of concerts and other events happening in the Orlando area this weekend.